This is a great place to start looking for cladding stones either loose or in schist panels. Perhaps you are wondering just what are my cladding options? The following stones are all real and supplied as thin 30mm veneer. The first series is from our Otago quarry and is New Zealand made. The other series are imported. Every stone below has photos and videos for you to see. If you have any questions please contact us. We are happy to help you with selecting the right stone for your project. 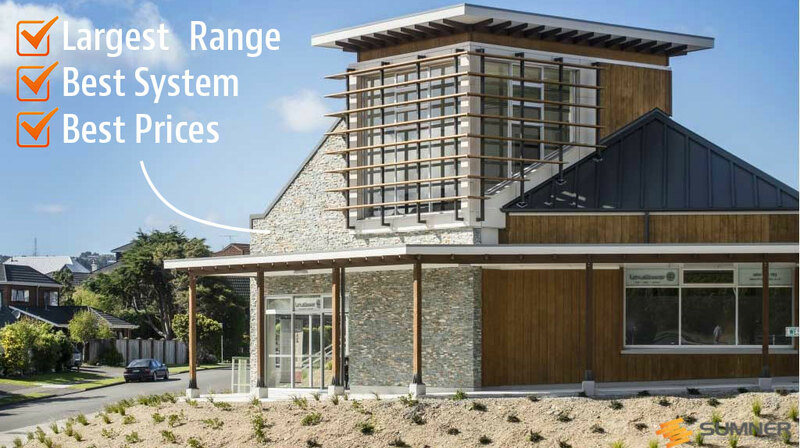 In 2014 SUMNER™ became New Zealand's first and only CODEMARK certified supplier of stone veneer wall cladding. Today this qualification together with our strong portfolio of completed work sets SUMNER™ apart from a backdrop of unqualified stone merchants. By choosing SUMNER™ you know your construction will work and look great for years to come. The two most important prerequisites for good stonework. We strongly recommend avoiding companies without CODEMARK compliance certification or professional CAD drawings that demonstrate weather-tightness and durability. This is the beauty of CODEMARK. Guaranteed council pre approval. No questions asked. It is this problem free compliance that has increased specifier confidence and activity. SUMNER™ is now specified on multi-storey apartment blocks, many hotels, retirement villages, shopping precincts, large private dwellings and more. Choose SUMNER™ for great stonework on your project and specify with confidence. Fig1. - SUMNER™ Schist on Gunner Street, residential development, Auckland. We have a great special this month! We are fully stocked and ready for 2015, so we are offering SUMNER™ Mosgiel schist for $99/m2+GST only yntil the end of March. If you need any assistance please contact us either by phone or email. At a glance you can see our range of SUMNER™ stone colours. This page is interactive so as you click on a stone the page will refresh with images, videos and information about that stone. Then from the navigation menu at the top of the page you can request a free sample, get an instant quote and more. 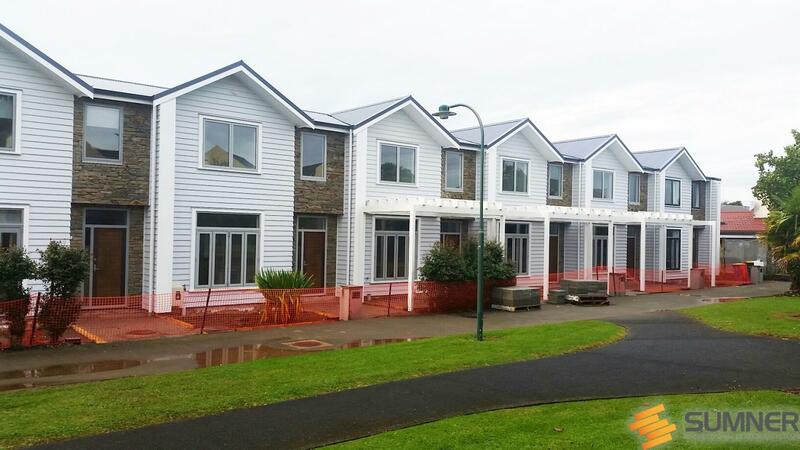 SUMNER Schist veneer complies with the New Zealand Building Code, and is a proprietary cladding system for architects and design professionals. Please see our Documents section for more detailed reading.